And with Palace reduced to ten men for the last 30 minutes, the defeat became even less bearable despite the team waking up and managing an Enner Valencia goal and plenty of pressure and chances. However, if you only start playing when you are three behind there’s something very wrong and the manager clearly accepted that. He said: “I’m shocked. Our level of performance wasn’t where I expected it to be. It’s disappointing when we’ve built expectation levels so high at home. It’s about the basics, really. Then he waded into the dismissed striker and started adding up the other awards that should have been made against Palace and on our behalf! He said:”I think Glenn Murray could have been sent off in the first half for the number of fouls he committed. He was lucky to stay on for that long. Oh shut the f*ck up BFS & jog on.Had enough of your excuses.Always excuses when we lose,always bigging yourself up when we win.Sophisticated,flexible,could manage real madrid or milan easily & win trophies every year.Ffs,guys a joke.One win in two months.Yeah youre a top manager Sam,europes elite will soon be banging on your door! Thank god we got points early season or we would be in real strife,Palace and WBA have taken us apart with tough disciplined defending ,quick counter attacks and a physical striker that works on Tomkins result capitulation.The owners must know now that this squad will need some major additions for next season. Someone said to me that the players are playing this way because Sam may not be staying?? I laughed! most likely the opposite! he never looks interested, just going through the motions! Did anyone else notice in the 38th Minute #DYLAN – No respect from Sam, while Pardew did! Reporterpot where are you? Are you washing your dressing gown? I didnt notice but it wouldnt surprise me at all.The guy has no class even though he claims to be the Sophiaticated One.But i dont think dinosaurs can clap anyway,maybe that was the reason. Today I kind of felt as if the players let everyone down, instead we are nailing Sam for the fact that he is breathing or any other habit of his! For goodness sake people…grow up! There were eleven players on the pitch and no Nolan or any so called BFS favourite boys, and yet they all under performed!!! What do you end up doing? Blaming the manager! I beg on you all to read interviews and comments fr real football experts and see what they think of Sam! Nothing else to say, apart from urging you all to let common sense prevail! Your arguements about bolton,newcatle & Blaxkburn aew notjing to so with Sam andy.Bolton had had their minor glories,newxastle were i chaos whether Allardyce was there or not & Blackburn were boughtbuy crazy chicken killers who were clueless.We so called parasites must be of a similiar belief to the board if they dont want to continue his employment.I suppose one win in two months should all be laid at the players feet.Nothing to do with Sam & his negative keep what we have tactics which have cost us many points when leading.Btw im 6ft 5in,i must be one f**cking big parasite.I thought they were generally only seen under a miscope.Still as you said,if people dont like sam then they know nothing about football,well maybe we dont understand football the way Sam plays it.But i think that is a good thing not a bad thing. Dont normally comment just read.But to call people parasites because they are not for Sam is out of order.They may express their opinion & quite frankly after seeing us slip down the table the way we have is disturbing so i understand the annoyance.Clearly all is not well.If the chairmen are of the mind to release Allardyce then people who are anti sam maybe have a point.His decision making at important points in matches this season has been terrible at times.I am neither of the mind to rid us of him or let him stay.But to accuse people of knowing nothing about football just because they are fed up with sam is wrong.We could be 10th or 11th in a couple of matches.This after being in the top 4 two monthes ago.People pay money to watch the club,they are entitled to their opinion.All is not well & anyone who knows anything about football would clearly see this. Can anyone of you anti-Sam supporters remind me of any season in the last 30 years when the Hammers were going into games as more or less equals or possible winners against any other team in this PL? I certainly cannot! BTW I apologise if offended anyone by the word parasites! However is very annoying when one of the best ever English managers, a well respected figure within the game constantly gets abused, for no real reason! The team lost its momentum and run of good luck due to also the fatigue element of great players such as Downing, Nolan, Carroll injury, defence shaken by injuries etc. The board have never criticised Sam and I have you know that the plan is still to renew his contract! They are a very sensible pair of owners and believe me it would be a massive gamble replacing Sam one year before moving to the OS! In addition the attached photo on this thread is being reused quite few times by the website! It was not taken today at all! And it’s very impolite to use it on this website every time there is bad news or bad comments against Dam! Respect people! Andy pole don’t worry. There is a reporter here, thanks to his top secret sources, that assured us the Allardyce’s contract extension for two years. Whatever you do though don’t trust the Cassandras in the tabloid sectors of media! And certainly don’t hold your breath! 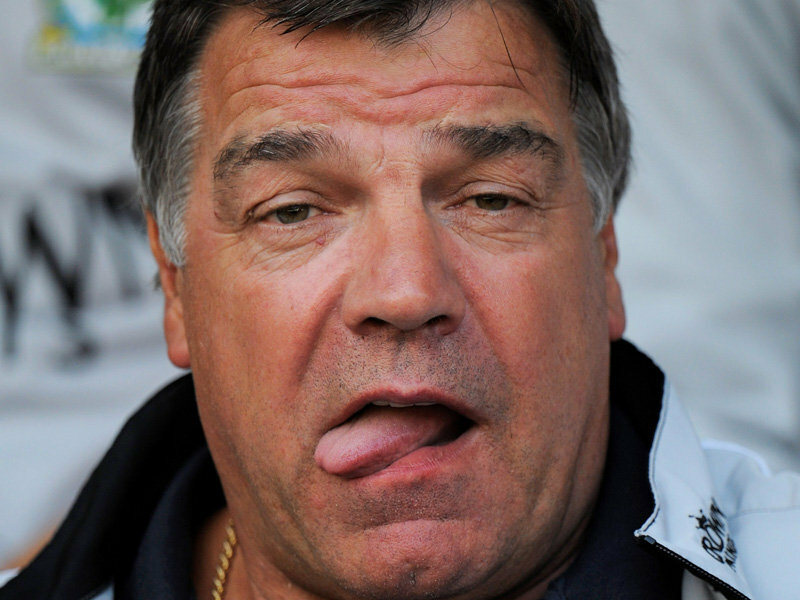 Big Sam is here to stay and lead us to the OS!